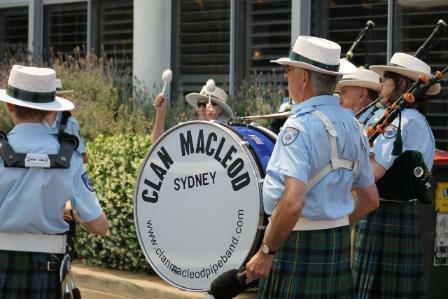 Clan Macleod entertained Members and Guests. Hon. 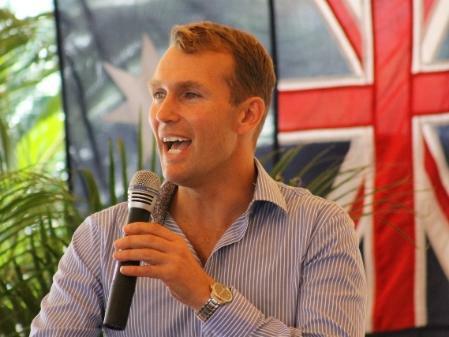 Rob Stokes, MP for Pittwater. CR. Kylie Ferguson and husband John. 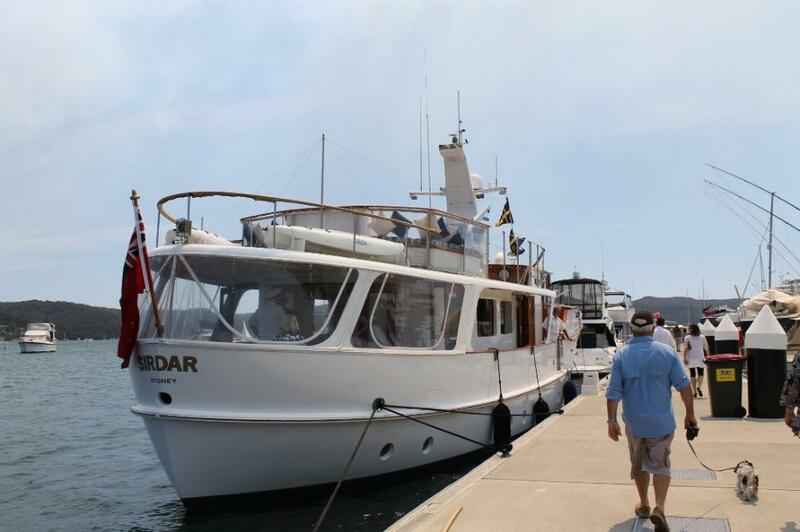 On Saturday 20th of October 2012 the Royal Motor Yacht Club of Broken Bay held the Grand Opening of their Boating Season. 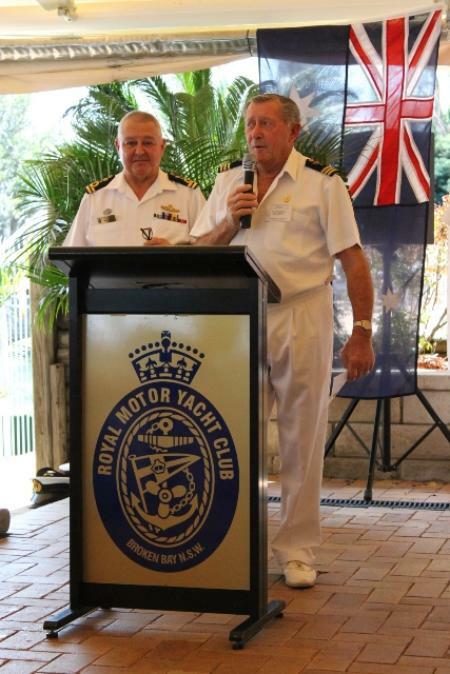 One of the Life Members of RMYC David Hinton led all in the Australian National Anthem to open the Program before Commodore Peter Haig welcomed honoured guests Hon Bronwyn Bishop and Hon Rob Stokes, Cr. 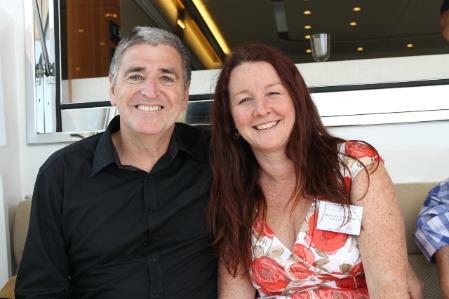 Jacqueline Townsend, Mayor of Pittwater and Cr., Robert Grace, Cr. Julie Hegarty, Cr. Ian White, Mayor of Warringah, Cr. 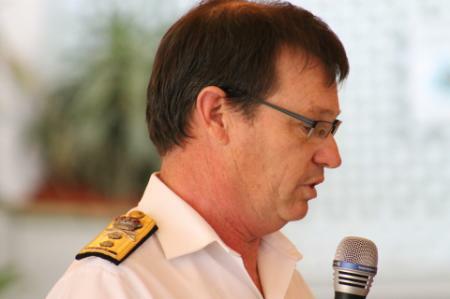 Michael Regan.. Commodore Haig then introduced the guest of honour representing the Naval Reserve, Rear Admiral Davyd Thomas AO, CSC RAN (Rtd.). 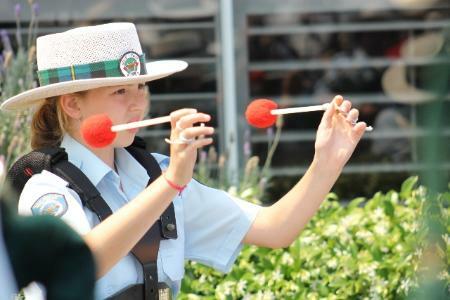 The RMYC at Broken Bay has a long association with our Naval Reserves and the RAN itself. 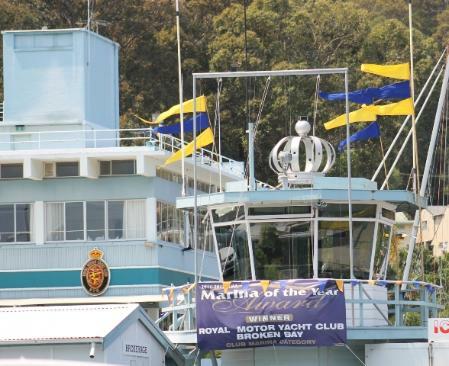 A patron of the RMYC, when it was still a branch of the Motor Yacht Club of NSW at Rose Bay, was Sir Dudley Rawson Stratford de Chair, a former Governor of NSW and Rear Admiral who served in the North Sea during WWI. 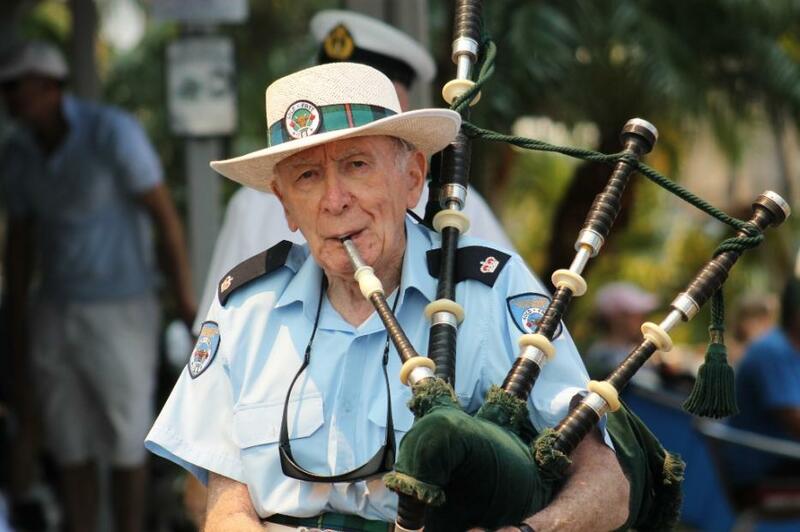 During WWII many members either served or their craft formed part of Pittwater defence services. “Many people may not realise that the Navy is 100 years old. There are three dates of interest; the Australian Navy has been around since Federation, when the Commonwealth Naval Forces were created on the 1st of March 1901. Last year we celebrated 100 years of the Royal Ascent of the Royal Australian Navy when King George V on the 10th of July 1911 granted the Royal Ascent and the title ‘Royal Australian Navy’. This was the formation of the RAN. Next year on the 4th of October 2013, is the 100th Anniversary of the First Fleet, the first Australian fleet in Sydney Harbour, which caps off a long and proud heritage for us. We are celebrating that Nationally and Internationally. This will commemorate when the HMAS Australia led six ships into Sydney Harbour on 4th of October, 1913. Thousands packed the harbour to witness their new Navy firsthand. This historic occasion is recognised each year with the RAN having its Navy Week around this date. Next year this will be celebrated with a significant event; an International Fleet Review. It will be undertaken at the same time as the Pacific Maritime Trade Show and the Sea Power Conference which will be brought forward from its usual scheduled date each year to coincide with this activity. Many senior officers from around the world, including Service Chiefs, will represent their nations and something like fifty Navies from around the world have been invited to the Fleet Review. Rear Admiral also spoke about some of the new platforms being introduced into the RAN. One of these is the building of submarines within Australia; the options being explored at present are whether to buy one off the shelf and build it here or to design a new one from scratch to suit our own geographic factors. This will not only increase the capabilities of our Navy it will also provide employment and significant education opportunities in the Defence and related sectors. This is seen as a Nation Building exercise as much as for the capabilities it will grant our Navy, and was likened to not being dissimilar to the Snowy Mountains scheme. Rear Admiral Thomas also addressed the crowd with information of other new vessels, the Canberra Class Landing Helicopter Dock (LHD) which we brought you news of in our last Issue, as well as many of the other modernisations taking place to our Australian fleet. Commodore Haig asked Peter Moxham, Marine Manager at the Royal Motor Yacht Club, to fire the cannon. The Hon. 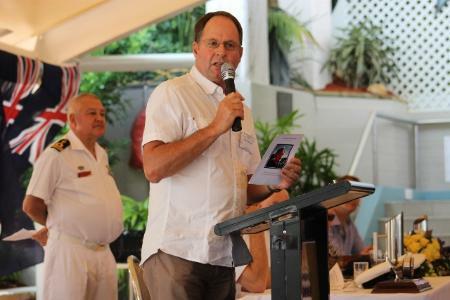 Bronwyn Bishop was invited to thank Rear Admiral Davyd Thomas for his informative address on behalf of all the members and guests of the RMYC – Broken Bay. The Hon. Bronwyn Bishop spoke with her usual eloquence, addressing how vital it is that our Defence Services are suitably equipped with the equipment they need to carry out their work. During the years the Hon Bishop served as Minister for Defence Industry, Science and Personnel she frequently spent time speaking to those in these various forces about their needs. In recalling a 24 hour stint in a submarine at the bottom of our southern ocean to determine whether correspondence received, citing what was wrong with this craft was accurate by seeing for herself and how these matters could be remedied, the Hon. Bishop was privy to the extraordinary abilities of our submariners and this stayed with her as much as the experience of being on a submarine. 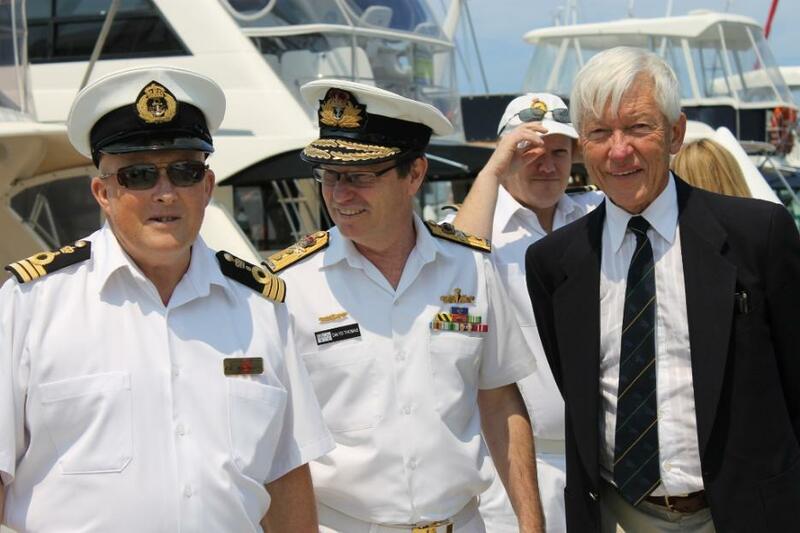 The Member for Mackellar thanked Rear Admiral Thomas for his overview of the Navy, particlaurly the insights on additions and modernizations, stating it is imperative that we have a symbolic and visible presence in our waters which is looked at with respect by Countries in our region. “Nothing is as important as the quality and calibre of our serving personnel,” The Hon. Bishop said “We have a first class Defence Force in all arms, Navy, Army and Air Force. We have a commitment to those personnel, for their service for which we will be eternally grateful. Their training, discipline and sense of knowing threats and knowing that we need to have a Diplomatic connection with other Defence Forces is very real. When we invited you, Davyd, to come and join us, we did so with a warmth in our hearts. We do it with an understanding that you may be asked to do things the rest of us may not be asked to do, to put your lifes at risk. That’s what makes you special. Lady members of the RMYC presented Rear Admiral Davyd Thomas with a thank you gift. The Hon. Bronwyn Bishop recieved flowers as a thank you and to celebrate our local Federal representative’s birthday, which occurred on the Friday, a small gift. Those gathered spontaneously burst into a round of ‘Happy Birthday’ for this esteemed and respected lady. Our State Member of Parliament the Hon. Rob Stokes was called on to address the members and guests. This gentleman spoke of how he and the Hon Bronwyn Bishop, while viewing Pittwater on such a glorious day, reflected that they must be two of the luckiest representatives in the world to represent, along with our Council, the best bit of the luckiest country on earth. Hon Stokes cited the continuing connection between our Naval Forces and Pittwater, recalling a member of the Royal Navy, Governor Phillip announced when he arrived here in March 1788 that this is the ‘finest body of water’ he had ever seen. On the 23rd of June the 63rd Harry Peel Navigation trial was run from RMYC Broken Bay to RMYC Port Hacking with three gents from RMYC coming 1st, (Paloma) 3rd and 4th; to take out the team event and the overall winner. A presentation of plaques to winners formed part of yesterday’s ceremonies. 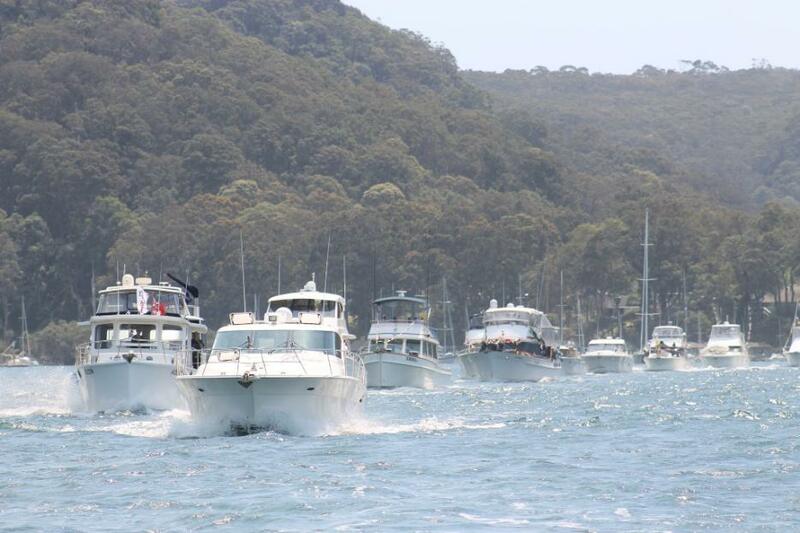 This Trial, considered the ‘Most Prestigious Cruiser Trial on the NSW Coast’ is keenly contested between the RMYC’s of Port Hacking, Rose Bay, Toronto and Newport as well as other major Motor Yacht Clubs along our coast. Entrants must nominate their speed prior to the event and electronic plotters check the time and position of each boat at random intervals along the coastline. 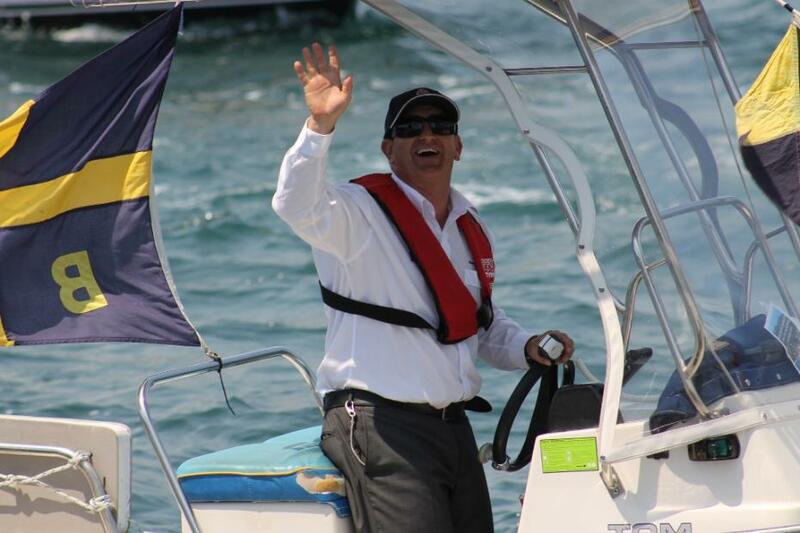 Named after a member of the Port Hacking RMYC, who donated the trophy for the Port Hacking’s then newly establish Motor Boat Trial, this remains the most sought after trophy on Power Cruiser trials. “God of endless love, at the beginning of Creation Your Spirit hovered over the deep. You called into being every creature, the seas teem with life. Through your Son Jesus Christ you have given us the rich harvest of salvation. God, today we pray, bless these boats, their equipment and all who will use them. Protect them from the dangers of wind and rain, and all the perils of the deep. May Christ calm the storm and each of his disciples bring you safe to the harbour of lifelong peace. For this Club and its people we pray, in Jesus’ name, may God bless you this year as you enjoy all the ports of our seas. Federal Member for Mackellar the Hon. 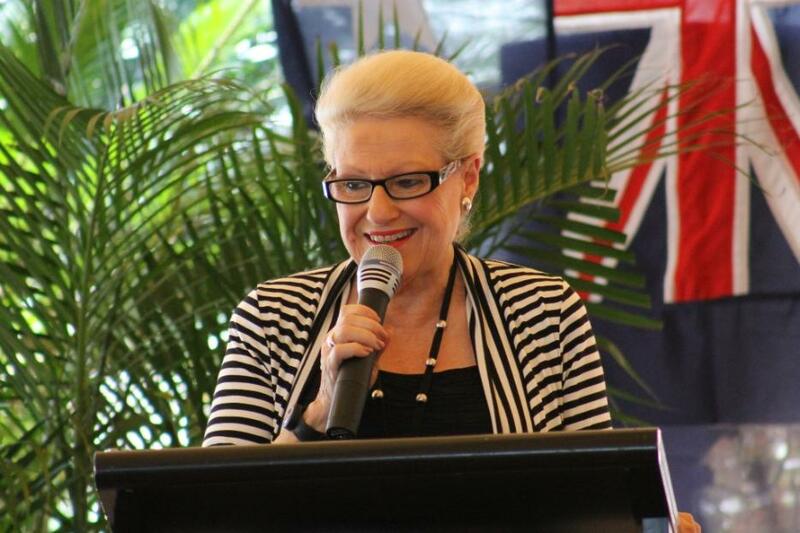 Bronwyn Bishop. 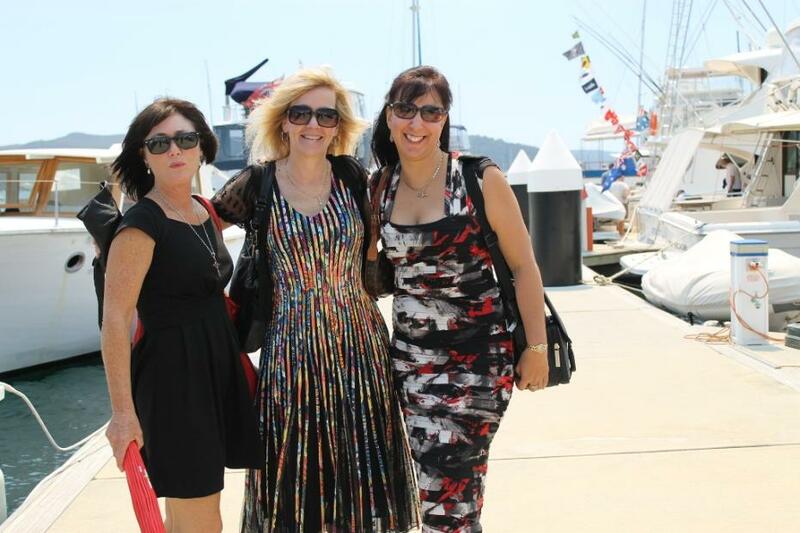 Beautiful girls on their way to board a boat for the Sail Past and Traditional Commodore's Salute. Saluting vessel the MV Sirdar. 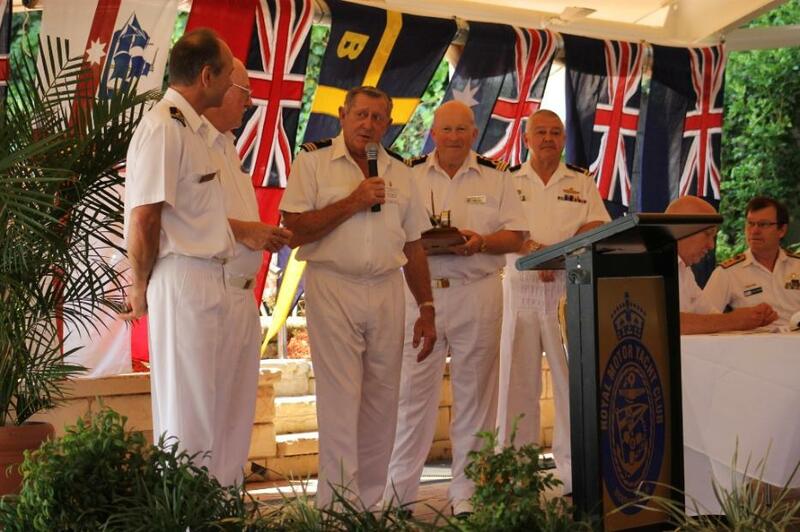 Commodore Peter Haig of the RMYC, Rear Admiral Davyd Thomas AO, CSC, RAN (Rtd.) and guest Ron Hattersley. Motor Boats in the traditional sail past of RMYC Grand Opening of 2012/2013 Boating Season in the smoke haze of burning off precautions pre-Summer.